a deviation from most of my published work. It is in essence simply a detailed list of 100 of my favorite places on Route 66, and it was one of my most challenging projects to date. How can you distill something as amazing as a Route 66 adventure, an odyssey of more than 2,000 miles through the heartland of America on the most famous highway in the world into a simple list of just 100 museums, attractions, restaurants, and classic motels? With that as an introduction, let’s discuss the places that made the list. We will start with the delightful Belmont Winery near Cuba, Missouri. In advance I should note that several places and events in Cuba, and in the surrounding area made the list. 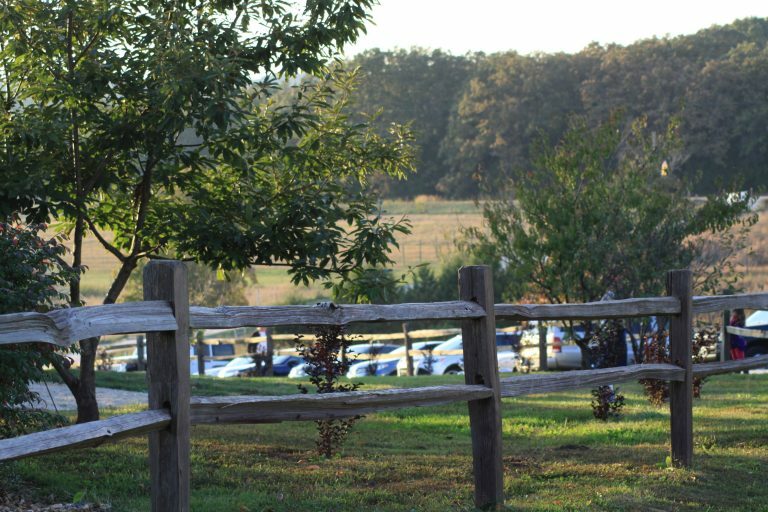 As you might have guessed, my dearest friend and I are quite enamored with this charming Ozark Mountain community, and the people that make it so special. empire with assorted oddities and curiosities, and insightful marketing. For decades the mainstay of the carnival and circus was the side show where people could gawk at the albino, the bearded lady, the Siamese twins, the fat lady, and in 1896, the Duryea Motor Wagon, America’s first production automobile. The successful author, fiction or non fiction, to a degree, has to harness the curiosity factor if their books are going to sell. 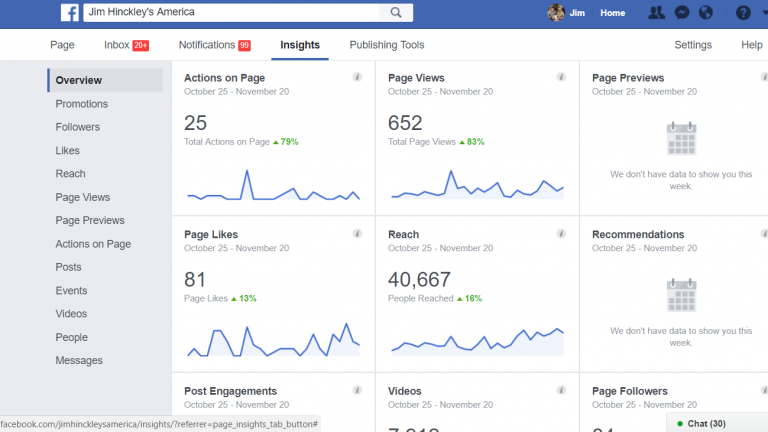 A primary goal in my projects, be it books, feature articles, podcasts, the video series developed in partnership with MyMarketing Designs, or presentations is to add depth and context to the ordinary. To accomplish this I have learned that it is crucial to first pique the curiosity. I once met an Australian couple that had an actual bucket list. They had literally written the list on a bucket, and used the bucket to collect pocket change that they applied to each years adventure. One of the items on their list was to travel Route 66 from end to end. The concept of a bucket list has always intrigued me. 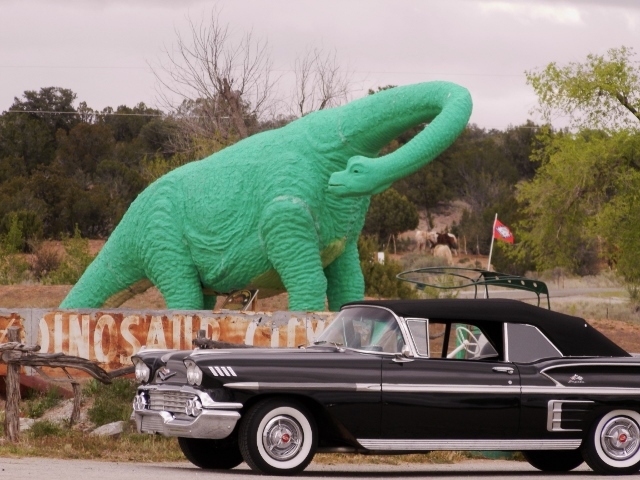 Equally as fascinating is the tsunami of international fascination with iconic Route 66. 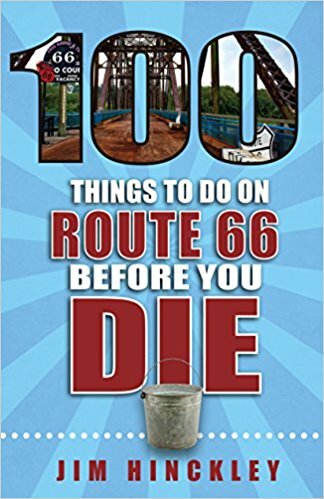 So, when Jim Ross facilitated a discussion about the 100 Things To Do On Route 66 Before You Die project with Josh Stevens of Reedy Press, I readily agreed to write what I consider to be the ultimate bucket list. Even though the process is now quite familiar, I hold my breath until initial reviews are in after a books release. I am pleased to say, the response has been favorable. Even better, the book is encouraging people to do a bit of exploring, and to sample pie and cobbler at a few of my favorite stops such as Grand Canyon Caverns, Clanton’s, the Ariston, and Wild Hare Cafe. Promoting the book, and me, and the road, is the reason for the upcoming road trip to Joliet and the Miles of Possibilities Conference. Full details, updates, an invitation or two, and a schedule will be made available for patrons in the coming week. And speaking of patrons, I am offering a copy of the latest book or episode one of the Jim Hinckley’s America: A Trek A Long Route 66 video to new sponsors. 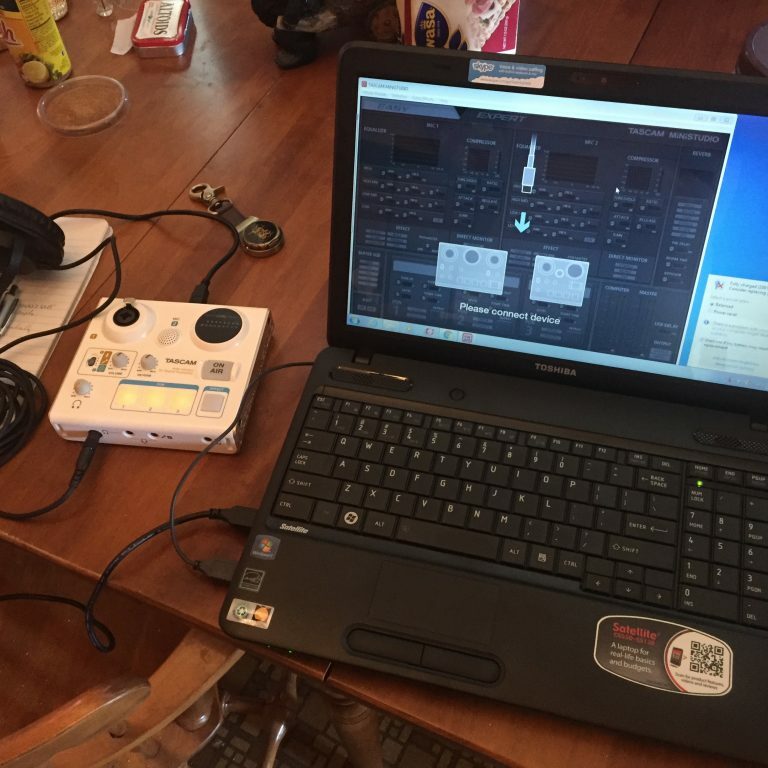 Become a Patron! 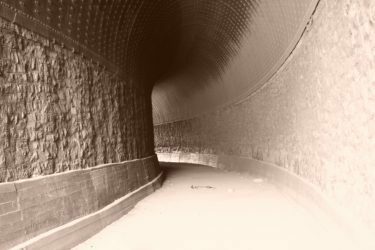 The Johnson Canyon tunnel was deemed an engineering marvel when completed in the early 1880's. to pursue a childhood dream. That was in 1990. I am still chasing the dream, with gentle encouragement from my dearest friend. To say the very least, it has been a grand adventure, an odyssey worthy of Jason and his band of intrepid and fearless Argonaughts. I digress. Today’s post, however, is not about the past, but about a future that includes gently encouraging my dearest friend to grasp a recently presented opportunity in pursuit of dreams. More about this exciting development in just a moment. Colorado to find lows and highs equal to what we have been through in the past week or so. To paraphrase (or plagiarize) a bit of classic literature, it was the best of times and it was the worst of times: dedication of a memorial to a valued friend and a bit of bittersweet family time with my dearest friend and son, the debut of a new book and unexpected support from friends, squandered opportunities and unnecessary battles, taxes and hard choices, memories and reflections. An emotional ceremony, the unveiling of the Twin Arrows Trading Post model created by Willem Bor at Antares Point Route 66 Visitor Center. Photo Sam Fiorella. On Sunday, with artist Gregg Arnold, the model of Twin Arrows Trading Post created by Willem Bor was unveiled at Antares Point Route 66 Visitor Center east of Kingman. The stand, created by Arnold, and the setting were poignant and moving for a number of reasons. the person who enjoys a carefree life of adventure where days are spent visiting exotic locations, meeting colorful and fascinating people, and extolling the delights of charming restaurants, bistros, taverns and historic saloons? When trapped in the mind numbing world of cubicles, power tripping bosses, subsistence level wages, impossible to meet deadlines, or days spent slaving under a broiling sun, it is hard not to. Then, you peek behind the curtain and the cubicle doesn’t seem so bad after all. I have been telling people where to go for fun and profit since 1990. That has provided my dearest friend and I with endless opportunity for memorable adventures, for meeting wonderful people, and for priceless friendships. On occasion, I have also had mind numbing jobs and endured belittling bosses, often to support the writing habit and ensure that we continue the eating habit. been a source of fascination for me. See the U.S.A in your Chevrolet. Ask The Man Who Owns One. No Hill To Steep, No Sand To Deep. The art of the sell at its finest. Before trying to sell you on my latest book, an explanation is needed. I tried my hand at selling used cars many, many years ago and quickly learned that it simply wasn’t in my nature to convince a potential customer that a Pinto was what the family needed when they wanted, and desperately needed a station wagon. There is an art to selling and selling in such a way that the customer leaves happy. Still, if I sell a fellow a three legged race horse when he is looking for a mule to pull the plow, chances are that I am going to have a bit of trouble sleeping at night. And I would bet money that when it comes planting, there is no association between my name and fond memories. Evolution and the ability to adapt to changing times is crucial if a business is to survive. Photo courtesy Mohave Museum of History & Arts. death and taxes. There are, however, two more adages that you can bank on. One, times change, whether we like it or not. Two, it is up to you to create the survival guide for the modern era and to keep it updated. In short, adapt and learn to adapt or face the consequences. You can bet money that the best blacksmith in town had fallen on hard times by 1915 if he hadn’t added automobile repair to the services offered. By 1918 the Fred Harvey had adapted to changing times by adding touring coaches as a means to ensure hotel properties remained profitable. Courtesy Mohave Museum of History & Arts. 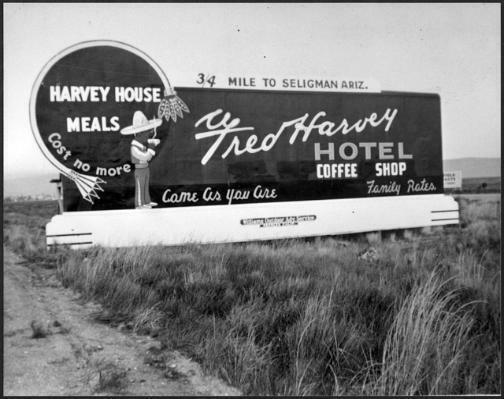 The Fred Harvey Company pioneered development of hotel and restaurant chains. They didn’t, however, rest on their laurels after dominating the railroad hotel business in the southwest. They developed tours, added buses, and began marketing to tourists traveling by automobile. is going into a second printing even though the book was released this past April. with such intensity that nothing distracts them from the task at hand. Obviously this trait is a prerequisite for people who work as bomb disposal specialist or as a sniper. I have never had interest in pursuing either career but the quest for a level of mental discipline that allows me to finish projects without enduring thirty hour work days resultant of succumbing to distraction is ongoing. This is not to say that my pursuit of the red ball is abandoned when I see a green ball, or that the smell of fresh baked pie will always lure me from the office to the kitchen if a deadline is looming. Scheduling and allocation of time is definitely an Achilles heel. In this I am not alone but that provides little solace when my most recent language skills test indicates a 21% proficiency in German, a 1% increase over last summer, and the venerable old Dodge (aka Barney the Wonder Truck) is still sitting in the drive awaiting repair, just as it was last Christmas.